Growing up I hated doing household chores and it always made me cry when I have to work around the house. Being married changed me quite a bit as I don’t mind doing chores to keep our house clean and cooking is one of them. Cooking is my favorite thing to do rather than buying frozen meals from the grocery store. Today, I went to A’Chau Oriental Market and I was very excited when I saw live crabs. Though Charles was scared when he saw the crabs moving and he kept on saying; I’m scared, I’m scared with his hands on his chest. When we got back home I cooked the crabs. 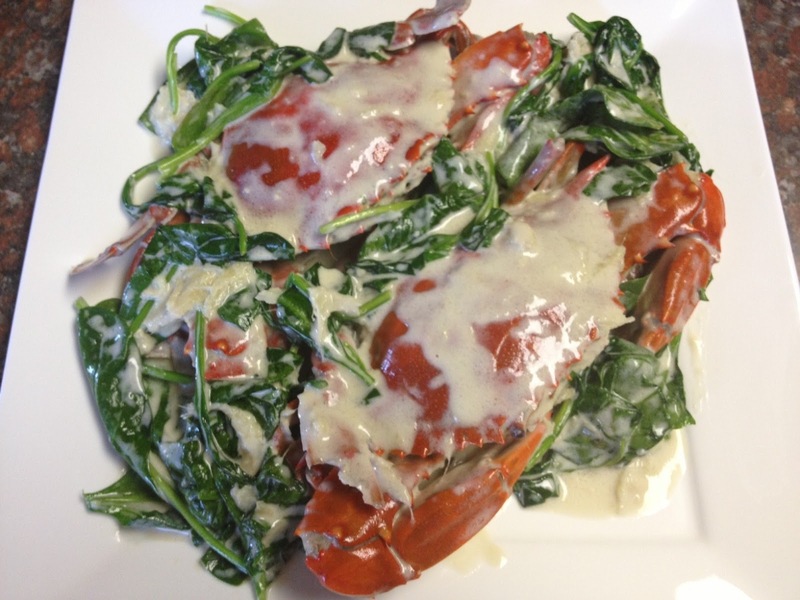 I added minced ginger, coconut cream, salt, spinach, and it was very delicious. Going to A’Chau Oriental Market, and Manna Oriental Market are just like shopping for clothes and shoes. You’ll never know what you can find at the store. Aside from seafood the store also has vegetables, and fruits.